Networking giant Cisco Systems and USAID have signed a deal under which they will fund up to $50 million of initiatives to boost the use of IT by government and civilians in Russia. 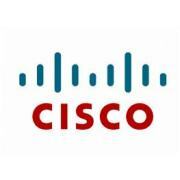 Networking giant Cisco Systems and USAID joined together to fund up to $50 million of initiatives to boost the use of information technology by government and civilians in Russia. Under the memorandum of cooperation signed, the bulk of the funding will be contributed by the gear maker Cisco which also holds operations in Russia.